20 year old Luisa Baptista, Miss Cuando Cubango, was crowned Miss Angola 2016 this past weekend. She was crowned by Angola's first and so far only Miss Universe, Leila Lopes and represent her country at the 65th Miss Universe Pageant. 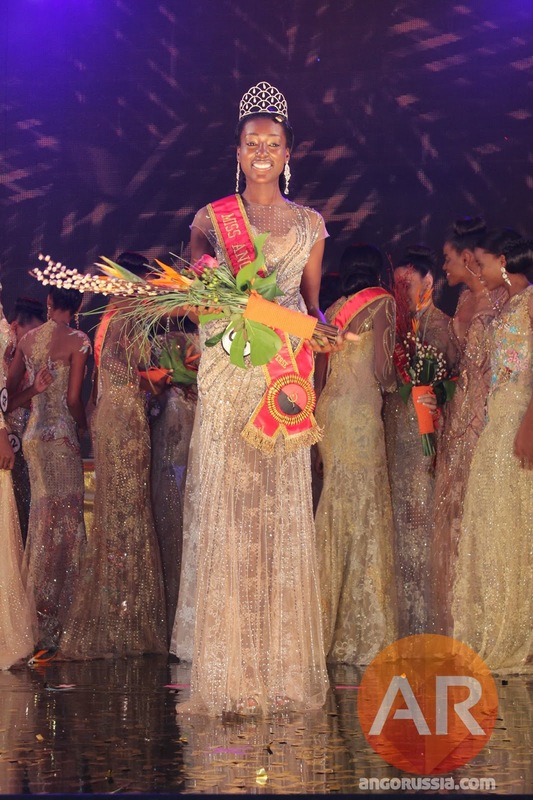 The first runner-up was Miss Huambo, Victoria Mande, and the second runner-up was Miss Angola UK, Raquel Gomes. 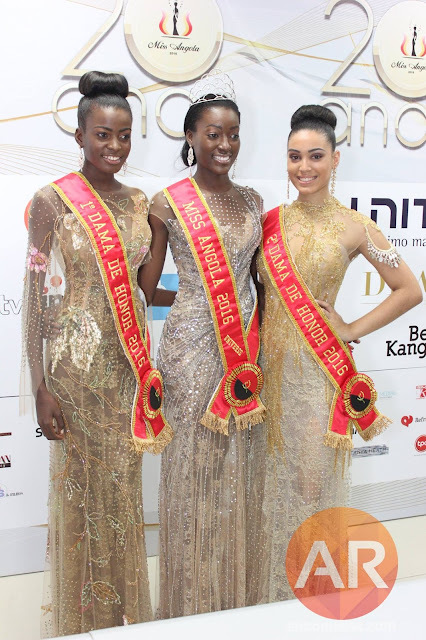 Claudia Leonardo, Miss Angola Portugal, and Bruna Cardosa, Miss Benguela, completed the top 5. She's not amazing, but workable I guess. Did Angola stop sending girls to Miss World. I like both runners up better than the winner and either one would look good at Miss World.